It’s hard to believe I’m writing this after my spiel last year, but for the first time in a long time I’m actually excited about what I saw at the Electronic Entertainment Expo. 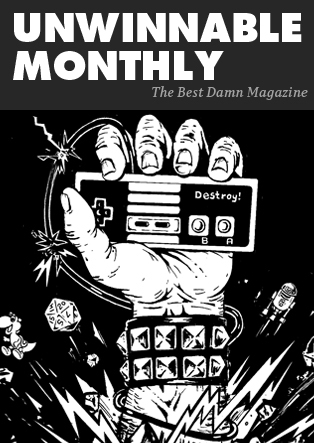 As Mark Serrels wrote for Kotaku in April, the Xbox One and PlayStation 4 have suffered from what’s possibly the weirdest console transition ever. Since their release, the platforms have been graced with very few experiences unique to them alone. 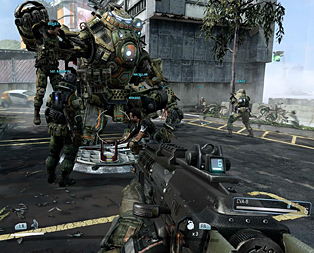 In fact, there have been so many ports and repackaged “high definition” versions of older games that one might wonder why they should own a new console at all – even Titanfall, Xbox One’s flagship game, feels like a blueprint for a future project more than it does a standalone piece of work. That feeling that the industry was still in an awkwardly long holding pattern permeated E3 2014, but the event also managed to showcase the potential for a future that’s less predictable and boring than previously expected. No, we didn’t see an end to the gratuitous violence that has downright plagued the last few events. 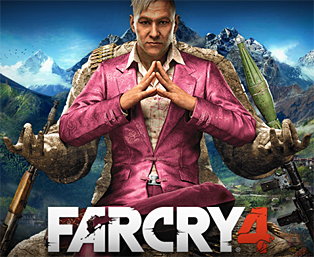 In some instances, it was just as bad as before, with Far Cry 4 featuring a man actually shoving a knife upwards into another human being’s chin and through his head – the crowd greeted this with cheers, so know that big budget titles sporting decapitated limbs are still alive and well. And no, it’s not like we finally caught a glimpse of long-awaited and perennially delayed titles like The Last Guardian or Beyond Good & Evil 2. These projects might as well not even exist at this point, and publishers are still more than happy to pump us with sequels and franchises until we can’t take it anymore. But beneath the safety nets of Big Budget Franchise and Remastered Last-Gen Hit was the feeling that Sony, Microsoft and Nintendo all seem rather unsure of where things are headed within the world of videogames. There was a realization that none of the three hardware makers can skate by simply doing the same thing they’ve been doing for the last few years. Attempts to chart a new path were sometimes baffling, clunky and questionable, but perhaps most importantly, they were heartening. Yes, a lot of the projects on display, especially those coming out this year, were from franchises we’ve seen before and genres we’ve already played, but there were so many other announcements it feels almost wrong to dwell on them. First, there were the revivals – a cameo by Conker in Project Spark that came out of nowhere, the rebirth of Phantom Dust, Grim Fandango, Mirror’s Edge and a Legend of Zelda adventure primed to soften the hearts of even jaded fans like myself. Then there were the new adventures – the Victorian-infused Bloodborne by Dark Souls director Hidetaka Myazaki. The Monster Hunter-inspired action of Scalebound. The manic energy of Sunset Overdrive. 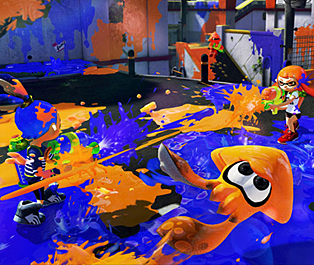 And we can’t forget the most inspired-looking shooter at the show: Nintendo’s Splatoon. 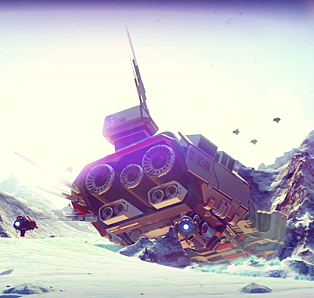 Many of these are no doubt inspired by existing games, but they’re also bound to provide us with unique new worlds to explore and dive into. Just looking at some of these in motion was a joy. From the hypnotizing planetary exploration and space travel of No Man’s Sky to the neon cityscapes of Crackdown 3, developers are again coming around to the idea that color schemes beyond gray and grayer could be used to develop videogames. Sometimes, even the smallest victories feel really good. The problem? None of this stuff is arriving anytime soon. The show’s most interesting appearances were essentially limited to teaser trailers with little to no gameplay and distant release dates. Unfortunately, if you’ve gone this long without a new console there wasn’t much to convince you that 2014 was the year to buckle. That could explain the refreshing tone of much of the press conferences, where publishers largely spared us the trumped-up marketing gobbledygook that’s become a hallmark of E3. Microsoft seemingly abandoned all of its television and Kinect ambitions from the previous year, and Sony was all over the map with initiatives. Perhaps those decisions were made knowing that none of this year’s offerings were really game changers; all the ports and remasters are there to smother the fact that the real stuff won’t land until sometime in 2015. Even Nintendo, which is looking more invigorated than it has in a long time, still isn’t quite ready to supply the Wii U with steady content. Super Smash Bros. will certainly be a treat this holiday, but the vast majority of what was previewed won’t be ready until next year (and in the case of Zelda, maybe later). The company admitted last year it underestimated the scale of development necessary to create high-definition games, and it looks like that’s a process that’s still ongoing. Still, between expected hits like Call of Duty and Battlefield, E3 2014 hinted at a surprising and more diverse future, one in which developers are at least trying to do something different, even if they’re not completely sure how or we’re still left in the dark as to their intentions. I wasn’t completely blown away by anything this year, but I’m not as cynical as I’ve been in the past. That has to count for something, right?